When it comes to toddlers, we know that they love music. Based on my observation, they’re especially attracted to sounds that they can create on their own. Once you show them that you can tap on any hard surface to create a variety of sounds, you’ve unlocked something that would intrigue them to create their own sounds. While there are musical apps that allow juniors to play with xylophone, piano, or drums, many are either too complicated or too bland. However, today I will share about a fun music app entitled Sago Mini Sound Box. 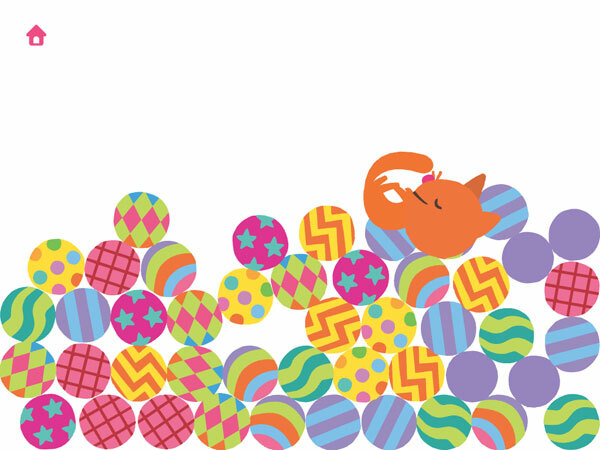 Sago Mini Sound Box is the first app from Sago Sago, the new face of Zinc Roe after it was acquired by Toca Boca. The app attempts to create a fun and playful experience for juniors as they create music and sounds. 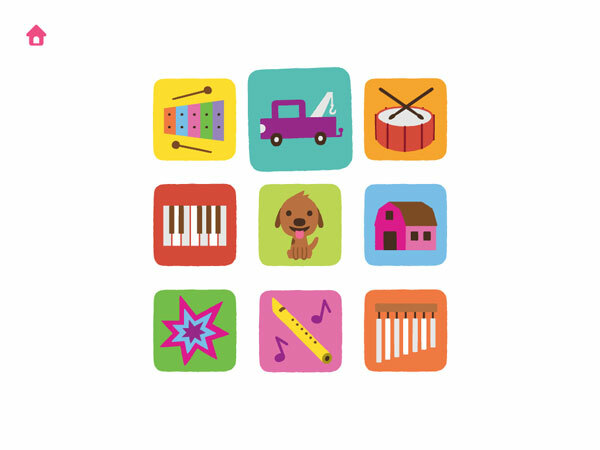 When you start the app, you will see nine boxes that represent nine unique sets of sounds: xylophone, car horns, percussion set, piano, dog’s bark, barn animals, sound effects, flute, and chimes. 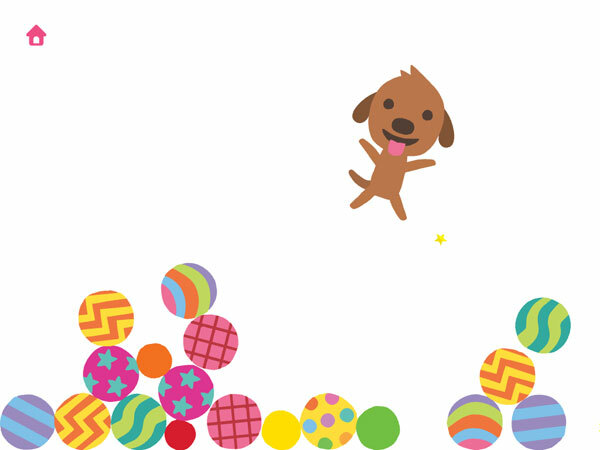 When you tap on a box, you will be greeted by one of Sago Mini’s characters: a cute brown dog, an orange cat, a green fish, or a pink bird. They will bring a colorful circle with them and drop it on the center of the screen. Depending on how your iPad is positioned, the circle will fall to the area on your screen that is positioned at the lowest height. The circle will make a sound when it’s brought to the screen and when it bounces off a side/corner. You can then start to play by tapping on the screen to create a sound circle. You can drag the circle, bounce it off, and tilt your iPad to create some noise. The app supports multi-touch, so you can create multiple sound circles at the same time. If you tap with two or more fingers at the same time, the app will give you special sound circles. A special sound circle is slightly bigger, and it has a unique and colorful pattern. If you tap and hold a sound circle long enough, it will crack open and a random Sago Mini character will pop out. It’s a really nice surprise for your juniors as they play. With any of the four musical sound set — xylophone, piano, flute and chimes — you can play a single octave scale when you hold your iPad in landscape orientation. The scale starts at the left side of the screen and ends on the right. If you want to play a simple and short tune, you might want to start with a blank screen because bouncing sound circles can really interfere with the melody that you’re trying to play. Sago Mini Sound Box is the first app in the Sago Mini series designed for juniors as young as one year old. They are designed to fit the curious nature of juniors who love to explore, play, and experiment with everything that they can get their hands on. Having played with Sago Mini’s second upcoming app, Sago Mini Forest Flyer, I can testify that the apps are really charming and appealing to young juniors; my one-year-old, Noah, couldn’t stop giggling the first few times he played with these apps. Even his three-year-old brother, Philip, couldn’t keep himself from joining the fun. Whenever I played the app with Noah, Philip would come over and put his fingers on the screen. This is where the app’s support for multitouch really shines. One thing that I would like to remind parents is to check the iPad settings and make sure that multitasking gestures are turned off while playing with the app. Sago Mini Sound Box is designed to accommodate open-ended play. Juniors can create and add new sound circles as many and as frequent as they like, but the app is smart enough to limit the number of active sound circles to 50 at a time. This is so that the screen has enough white space for the circles to move. Once the limit has been reached, an existing circle will be popped automatically each time you create a new one. Another thing that I like is how the app can be used for a sound guessing game. For example, the barn animals set features several sounds: pig, chicken, cow, dog, donkey, duck, horse and cat. You can tap with one finger to create a single sound circle, and ask your juniors to guess which animal would make that sound. Sago Mini Sound Box is an excellent toy app designed for juniors as young as one year old. It’s one of the easiest and most fun apps that allows toddlers to create their own sounds and noises. The nine sound sets offer a variety that your juniors can play and experiment with. Make sure you do your juniors a favor and download a copy of the app for free. Flea Symphony. A cute musical puzzler for the whole family. Red in Bed. What happens when the color red gets ill? Find out in this musical book app.